We recently shared a post on creating best data visualizations with the most beginner friendly tool called Tableau. In conjunction with that post, here's another post related to it where the company who has provided the "Business Intelligence and Analytics Tool - Tableau" online learning course at Udemy. Where Tableau is the best data visualizer available now and is being used highly by may corporates and educational institutes. Learning Tableau is an advantage for every one, it promises to get you into best profession which is most aspired by students and working professionals from various industries. ExcelR was offering the Tableau 9.3 Online Training Course at Udemy for $50. There is a promotional offer going on now from our end to help most of the users who wish to learn and gain the opportunity of landing into a new job or increase the weightage of your resume. The 25 hours of online training on Business Intelligence & Analytical tool called "Tableau". This course is just priced at $50 . 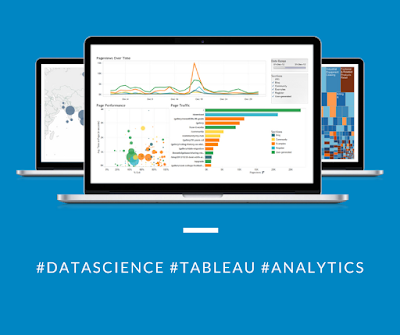 Use coupon code [CTEXLR30OFF] and enrol to get the discount or click "Business Intelligence & Analytics tool - Tableau 9.3 Desktop, Server & Data Science" and avail the offer. You can also register with ExcelR directly on their website for LMS (Learning Management System) access for the same course at a best price. ARE YOU INTERESTED IN BUSINESS ANALYTICS, THEN TAKE THE FIRST STEP TOWARDS LEARNING IT.